One of my 2017 goals was to read more books. Whether it be a classic novel or a beautiful coffee table book – I just want to read more. Coffee table books are a particular interest of mine right now as they are dual parts information and decorative. I am obsessed with how beautiful a book can make a table or a cabinet look. 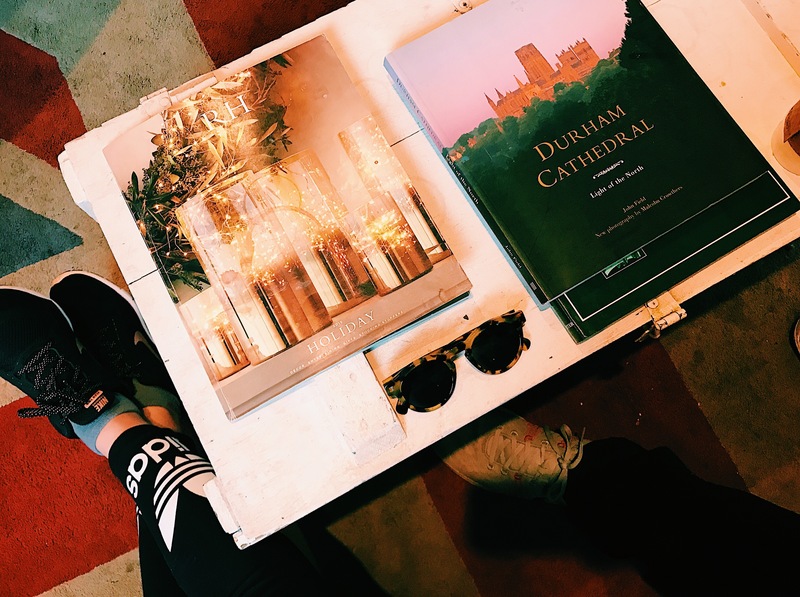 As I am looking to read more, I am looking to buy more books – here at 10 coffee table books I need right now! Superfoods : Obviously everyone’s goal going into a new year is to be healthier. But to really be healthier you have to educate yourself on whats good and what is not so good for your body. This beautiful book has 150 recipes to help cleanse, detox and increase happiness in your body. Chelsea Market Cookbook : If anyone reading this has been to the Chelsea Market, you will understand why this book is a must have. Offering popular recipes and tips from all of the incredible vendors in the Chelsea Market – I need this in my life right now. In The Company of Good Women : We all need a little more girl power in our lives. This book is dedicated to the powerful, entrepreneurial go-getter women across our globe. Beaches : I should have put this as #1 on my list. Absolutely the top book I am needing right now. The imagery and photography of this book is incomparable, plus it will make you want to book a flight to a tropical destination ASAP. The Travel Book : Essential for any travel girl or guy. Takes you through the top destinations in every country across the world. The pictures are pretty amazing as well. Celebrate Everything : We all need to throw a good party every now and again – this book will help you plan the ultimate party. Paris by Laduree : The kings of Macaroons and French baking share their favorite local places in Paris. I don’t know about you, but I will take tips from Laduree any day! See San Francisco : A pastel lovers dream. The perfect book for anyone who “left their heart in San Francisco”. domino : Your Guide to a Stylish Home : Curated by the editors of the original Domino Home, this book takes you through tips and ideas to help maximize the chicness of any room. Hello Glow : Probably the book I am most excited about. 50 + DIY recipes for your best skin ever!